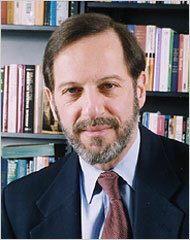 Rashid Khalidi, American born historian of the Middle East, Professor of Modern Arab Studies' at Columbia University's School of International & Public Affairs. The Huffington Post published an article by Seth Colter Walls which points out the hypocrisy of the current McCain-Palin campaign attacks on Barack Obama for attending a 2003 farewell dinner honoring former University of Chicago professor Rashid Khalidi, when Senator John McCain has FINANCED projects of Professor Khalidi since the 1990’s. During the 1990s, while he served as chairman of the International Republican Institute (IRI), McCain distributed several grants to the Palestinian research center co-founded by Khalidi, including one worth half a million dollars. Of course, there’s seemingly nothing objectionable with McCain’s organization helping a Palestinian group conduct research in the West Bank or Gaza. But it does suggest that McCain could have some of his own explaining to do as he tries to make hay out of Khalidi’s ties to Obama.